We are pleased to announce that Associated Building Specialties (ABS) recently acquired Hillcrest Commercial Glass, a commercial storefront and glass company located adjacent to our current facility in Frederick, Colorado. The acquisition was completed on April 30th, 2018. Our combined companies will continue to operate out of our respective Frederick Locations. Our expert team of project managers and glaziers have been installing curtain wall, storefront, glass doors, interior finishes, specialty glazing and other commercial glass for over 40 years. We work closely with general contractors and architects to bring building projects to life. Our portfolio features a multitude of various projects including commercial buildings, tenant finishes, high-end residences, schools, government projects, and buildings up to four stories. Not only do we specialize in commercial glass installation– we also manufacture every single piece. We provide premium commercial glass manufacturing, creating each piece of glass for individualized client needs and specifications. 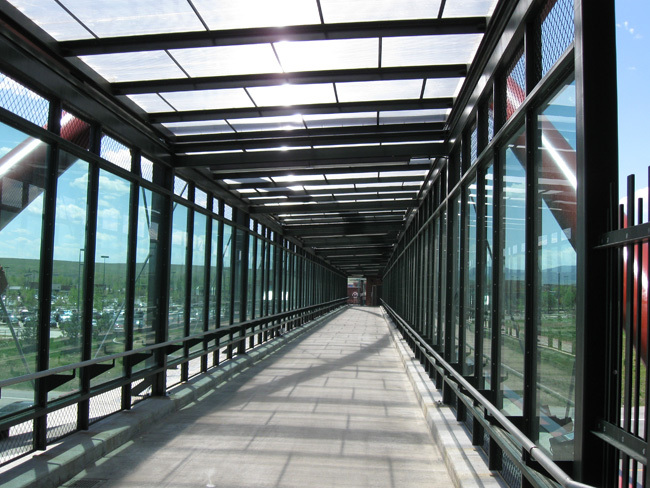 From float glass to fabricated glass, we’re able to deliver specialty glazing for any commercial project. Every part of your glass can be customized from the size and shape to imprinted decals featuring your business’ logo and hours of operation. 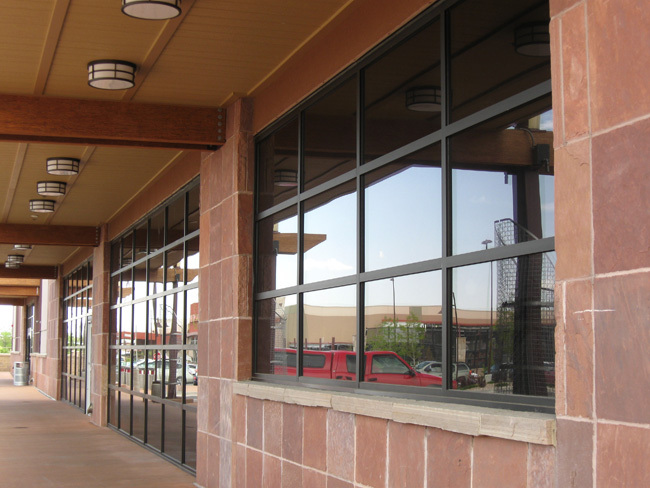 We offer an extensive selection of security glass options, including fire-resistant glass, bullet-resistant glass, and tempered safety glass; great for secured buildings, public buildings, and many other commercial properties. In addition to security glass, we deliver endless decorative glass options for both interiors and exteriors. From traditional frosted privacy glass solutions to colored interlayers for creative pops of color, we’ve got you covered. We’ve also incorporated our manufactured glass for commercial interiors including office partitions, custom handrails, and more. Find the perfect investment glass feature for your commercial project by having it custom designed, built, and installed by our specialists. We offer a much more attractive price point since there aren’t any distributors or dealers in the equation. That also means a single point of contact– your glass installer is also your glass manufacturer, eliminating any miscommunications and enabling consistent, high-quality service each step of the process.